Subaru has announced the pricing for the 2018 Outback and Legacy models. The 2018 Outback has a refreshed front and rear bumper and new side mirrors. Outback buyers can choose from four trims that start with a $25,895 MSRP and a 175hp 2.5L Boxer engine. All 2018 Outback models also get a new grille, and headlights align with a system that locks the doors at 12.5 MPH and unlocks them when the car goes into park. 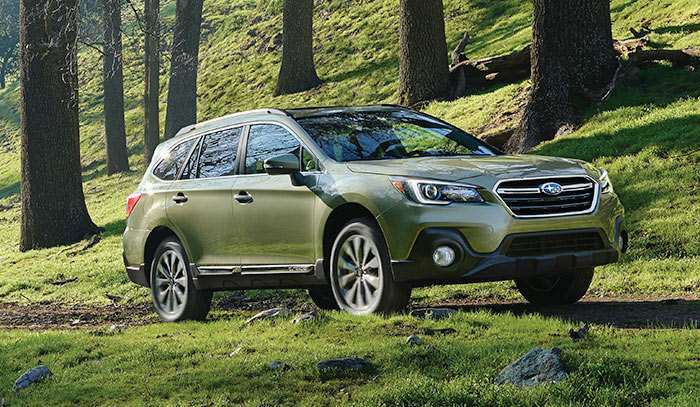 Outback 2.5i premium starts at $27,995, Outback Limited starts at $32,659,and Outback Touring is $36,490. The 3.6R Limited starts at $35,395. The sedan version of the Outback minus the raised ground clearance is the Legacy, that car starts at $22,195 or the 2.5i. Premium package starts at $24,295, Sport starts at $26,345, Limited starts at $29,095, and the 3.6R Limited starts at $31,945. All versions lack the $860 destination and delivery fees. The Legacy has similar changes as the Outback for the 2018 model year.